As it is built on the Microsoft Dynamics ERP solution, Logiqstar guarantees global support. Microsoft Dynamics is supported by a global partner network. Over 3,500 software companies are certified to sell and implement Microsoft Dynamics. Over 110,000 companies use Microsoft Dynamics and benefit from its many advantages day in, day out. Microsoft Dynamics was successfully implemented at various international companies thanks to local support in their home country. Continue to work with a familiar system. Microsoft Dynamics NAV uses the same interface as the other Microsoft applications, allowing anyone to get started in just a few easy clicks. The software seamlessly integrates with Microsoft Excel, Microsoft Outlook, and Microsoft SharePoint, among others. All these applications have been perfectly geared to one another to make your job a lot easier! You can install Microsoft Dynamics NAV on site or opt to work in the cloud, allowing your team to work where and when they perform best: at the office, at home, or even on the road. Microsoft Dynamics NAV gives your organisation a better insight into relations with customers, allowing you to better meet their requirements. The result? Higher levels of customer satisfaction! Microsoft Dynamics NAV is a role-specific package, giving your staff relevant insights into their daily tasks. With the right information within reach, they can work quickly, efficiently, and in an organised manner. 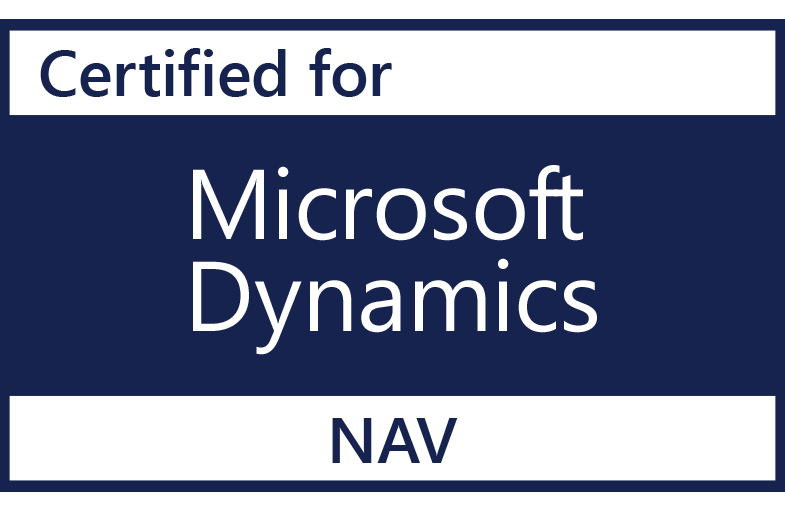 Logiqstar guarantees that all the latest developments within Microsoft Dynamics NAV are supported, as stipulated in our statement of direction. As such, your ROI is guaranteed, now and in the future. Over 110,000 organisations, 2,000 of which are based in Belgium, work with Microsoft Dynamics NAV. All over the world, logistics services are a booming business. Logiqstar gives logistics service providers access to this ERP solution. Continuity is guaranteed since Microsoft Dynamics NAV (the Microsoft ERP platform) forms the basis of the Logiqstar platform. Built by experts boasting years of experience: you will immediately realise just how targeted the package really is. The unique ‘workflow-driven order management system’ allows you to set up the entire process for each type of order. Our CRM modules support the management of all your contacts, commercial activities, rates, quotes, and customer service tasks. The standard modules for financial management, accounting, and reporting in Microsoft Dynamics NAV ensure full integration and transparency. The Microsoft platform allows for integration with Microsoft Office. A transparent sales process? Just a few clicks away! As a logistics service provider you often need to manage hundreds or even thousands of contacts, and you work with countless suppliers. Moreover, you need to be able to support your customers’ complex business processes and you are faced with specific challenges in terms of purchasing rates, benchmarking, the management of various services, etc. Over 40 million users across 40,000 organisations worldwide have already opted to use this unique CRM platform. Its sectoral add-ons make Logiqstar the ideal CRM solution for logistics service providers. Contact our experts for a demo and additional information! Keen to have a chat about your logistics challenges?